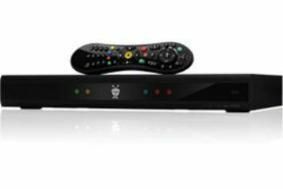 UPDATE: Virgin Media announces TiVo-powered HD/3D set-top box | What Hi-Fi? Virgin Media has announced details of its new, TiVo-inspired set-top box, complete with 1TB hard disk drive and access to on-demand HD and 3D content. The box is set to launch "later this year" in tandem with the "TiVo-powered next generation connected TV service". It will be capable of storing up to 500 hours of content on its hard disk, while using Virgin's TV On Demand service you'll get access to over 4,600 hours of TV, including HD and 3D content. The box will have its own internal modem and use Virgin's fibre optic network to deliver downloadable content that Virgin says won't impact on your home's broadband connection. By comparison – Virgin is keen to point out – Sky's new Anytime+ service uses the same broadband connection as the rest of your house, and also doesn't offer downloadable HD or 3D content (though this content is still pushed to your box by the 'old' Anytime service). Cindy Rose, executive director of digital entertainment at Virgin Media, was typically bullish: "Virgin Media's next generation connected TV service – powered by TiVo – and combined with our superior broadband will blow other 'connected TV' products out of the water." The TiVo DVR launched in the US in the late 90s, offering all the functionality of a PVR but crucially also connects to your home network to give you access to downloaded content. We'll bring you details on pricing and a release date just as soon as we get it. It was late last year that we reported on Virgin Media's decision to adopt TiVo technology for its next-generation HD TV cable platform. Now comes news Stateside that TiVo has unveiled its new generation of set-top boxes at a US press event. Its new Premiere and Premiere XL boxes give a hint of what Virgin Media will offer its customers later this year. The standard Premiere box comes with a 320GB hard-disk drive, wireless N and G network adapter support and recording capacity of up to 45 hours of HD content. The XL model has a 1TB hard drive, capable of recording up to 150 hours of high-definition programming, and is THX certified. Integrating internet content into the device seems to be another priority, with the Premiere's search functionality able to find programmes from numerous sources, including (in the US at least) YouTube, Netflix, Amazon and Blockbuster. A spokesman for Virgin Media says: "What you see in the US is an interesting signpost to the sort of device you could see in the UK later this year, but we're not releasing any details here yet."